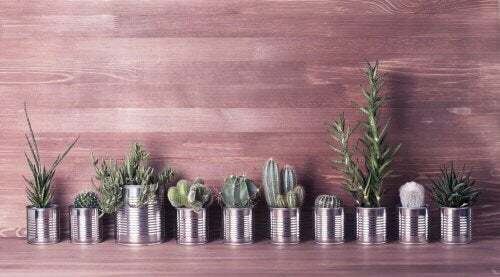 With a little imagination and some different sized containers you can decorate your home and create some practical objects without spending a lot, while taking care of the environment. Learn more in this article! 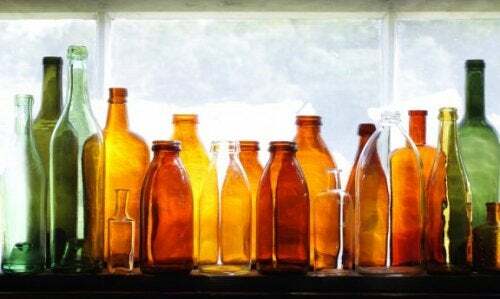 Recycling has become one of the best habits to reduce excess waste. Although we’ve become accustomed to calling certain materials “garbage,” you can recycle cans to reuse them in a variety of ways. 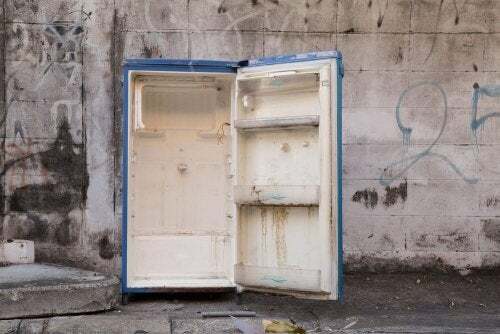 While some people still aren’t aware of how important it is, people who recycle are contributing significantly to the reduction of trash that damages the environment. 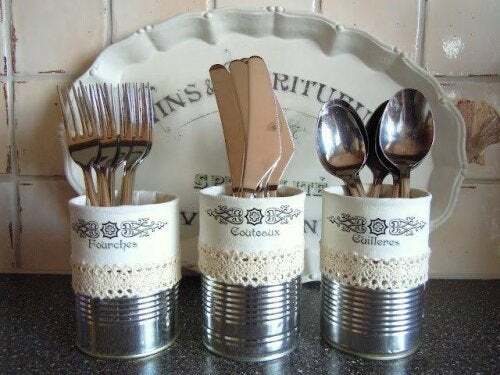 This is the case of aluminum cans used to store food, which can be made into crafts and objects that are useful around the home. 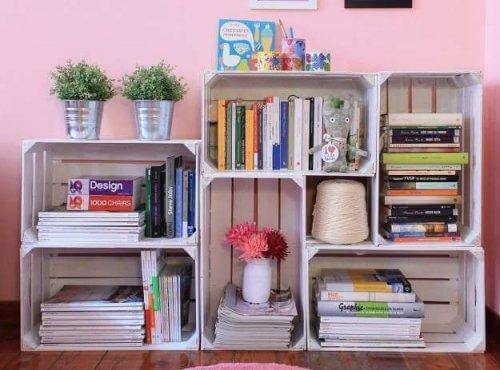 In today’s article, we want to share 19 creative ideas so that you’ll start recycling them from now on. Containers for tea, milk, and other similar products can become delicate candle holders. Insert a candle of a suitable size, or fill the can with paraffin and make one yourself. Would you like to create an environmentally-friendly Christmas tree? Try making one using cans of several different sizes. Paint them the colors you want and decorate away. Take several aluminum cans, make some small holes in the sides, and insert candles to create some soft and romantic lighting for your garden. 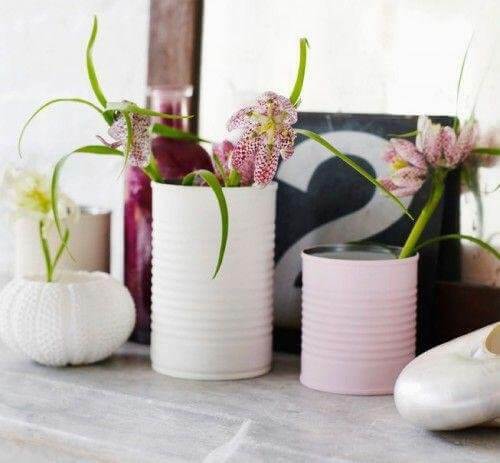 Cans can also be transformed into beautiful and delicate pots for small indoor plants. Poke some holes for drainage in the bottom, paint them, and plant whatever you want. 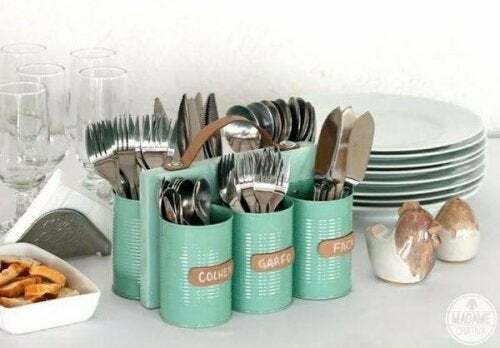 Instead of spending large sums on sorting drawers, decorate several small cans and use them for this same purpose. With this simple step, you can encourage the habit of saving even the smallest container of food leftovers in your home. Another interesting way to reuse these cans in the garden is by making some lovely hanging bird feeders. Paint them different colors and hang them in strategic locations where birds can reach them. 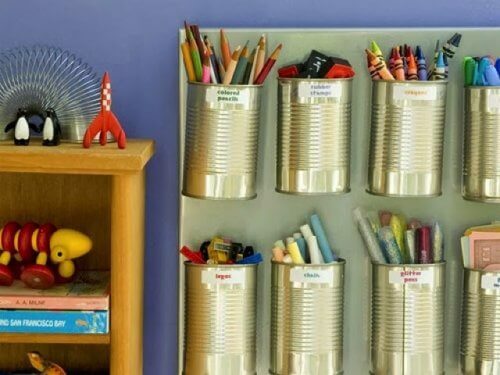 There are many ways to turn these cans into holders for writing utensils in the office. You can decorate them with printed paper or paint them different colors. To make a nice pendant all you need to do is collect several tuna cans and some decorative materials. Punch a small hole, add a string, and use them as votive candle holders for a special occasion. With a little lace, you can make some elegant holders for special occasions. A little paint and some creativity can make you a wine bottle holder for your kitchen. To recycle cans can be fun! Cut the base of the cans, attach them using some strong glue, and place your new bottle storage on the bar. 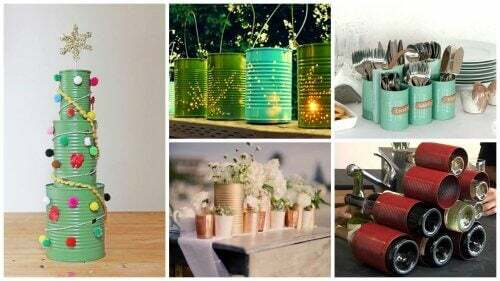 Metallic paints, lace, and flowers are the perfect decorations to turn these cans into wedding presentations. Use your creativity and you’ll have some elegant and environmentally friendly decorations. Do you want to go on a picnic and don’t have a grill? Bring a medium or large aluminum can, add a few slits on one side, and turn it into a small makeshift grill for roasting food. 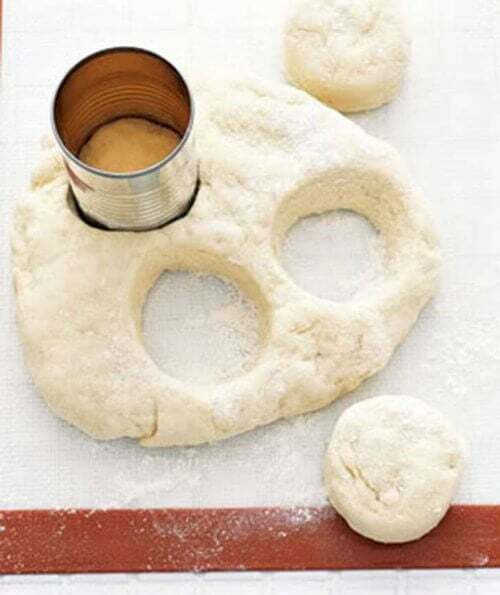 Keep metal tins around to use as cookie cutters in the kitchen. They can also be used to cut out biscuits and other baked goods. If you put several tuna cans inside a box you can make a simple organizer for those small objects that are often easily lost. Do your pins and needles get lost easily? 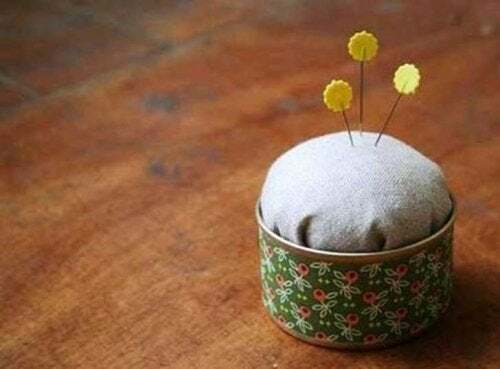 Say goodbye to this problem with this simple, practical pincushion. Plastic-lined containers are useful for storing bags, wipes, and other similar items. Make a small cut in the lid, decorate it, and store it somewhere for easy access. 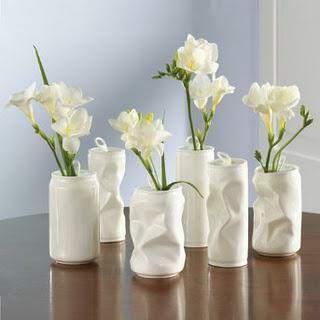 Beer and soda cans can be transformed into interesting vases or centerpieces. Because these cans are easier to handle, you can bend and shape them to give them a personal style. A little paint or some paper will turn cans into nice towel racks for your bathroom. Attach them to a wooden board, paint them, and place them in the bathroom near your sink. 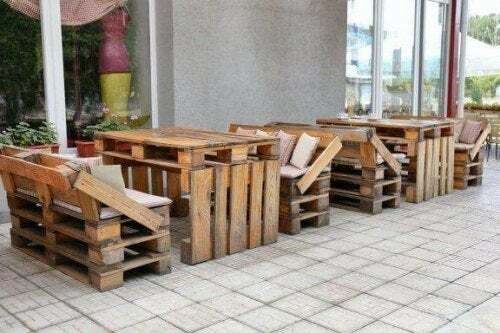 Do you like these simple recycling ideas? We encourage you to recycle cans and put into practice and test your creative skills.